The life and times of an intrepid gay rights activist. Segal’s swiftly written debut memoir looks back at his coming-of-age years in New York City through his achievements both personal and political, which have made him the “dean of American gay journalism.” Growing up isolated in the 1950s with “the only Jewish family in a South Philadelphia housing project,” the author, son of a decorated war hero, set his sights on New York (“the center of everything”) while passing his childhood years with eyes glued to the men’s underwear section of the Sears catalog and bonding with his civil rights advocate grandmother, who “celebrated diversity before it was fashionable.” Segal’s first interest in newspapers manifested as a young door-to-door salesboy, and then he branched out in later years as a founding journalist of the Philadelphia Gay News. He went on to chair political movements and lobby for LGBT anti-discrimination legislation with learned diplomacy and the launch of a series of nonviolent, press-frenzying “zaps,” which included crashing the sets of the Tonight Show and the CBS Evening News. Amid schisms within the gay community and the beginning of the nightmarish “deadly war” on AIDS, Segal fearlessly pressed onward, befriending pivotal politicos like Barney Frank and spearheading the development of LGBT senior housing projects. 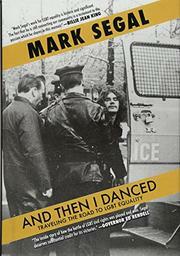 In other sections, the author vividly describes his firsthand experience as a teenager inside the Stonewall bar during the historic riots, his participation with the Gay Liberation Front, and amusing encounters with Elton John and Patti LaBelle. In a fitting coda to a vigorous life story, Segal, now 64, writes of finally wedding his longtime partner and of finagling a coveted photograph together with Michelle Obama. A jovial yet passionately delivered self-portrait inspiring awareness about LGBT history from one of the movement’s true pioneers.